Lesbos, sometimes referred to as Mytilini after its capital, is a Greek island located in the northeastern Aegean Sea. It has an area of 1,632.819 square kilometres (630.435 sq mi) with 320 kilometres (199 miles) of coastline, making it the third largest island in Greece. It is separated from Turkey by the narrow Mytilini Strait and in late Palaeolithic/Mesolithic times was joined to the Anatolian mainland before the end of the last glacial period. The island is forested and mountainous with two large peaks, Mt. Lepetymnos at 968 m (3,176 ft) and Mt. Olympus at 967 m (3,173 ft), dominating its northern and central sections. The island’s volcanic origin is manifested in several hot springs and the two gulfs. Lesbos is verdant, aptly named Emerald Island, with a greater variety of flora than expected for the island’s size. Eleven million olive trees cover 40% of the island together with other fruit trees. Forests of mediterranean pines, chestnut trees and some oaks occupy 20%, and the remainder is scrub, grassland or urban. The entire territory of Lesbos is “Lesvos Geopark” which is a member of the European Geoparks Network (2000-) and Global Geoparks Network (2004-) on account of its outstanding geological heritage, educational programs and projects, and promotion of geotourism. 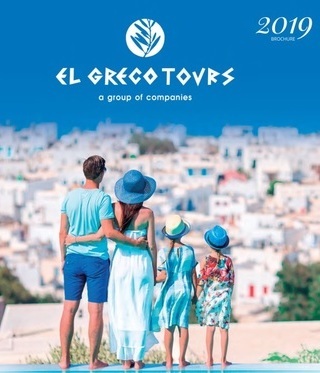 Copyright © 2018 El Greco Tours P.C. All rights reserved.